The homeland of this high quality essential oil is India where it is extracted from jasmine flowers. It takes a ton of the tiny flowers to make just 1.5 litres of jasmine essential oil. Inhale the sweet and strong aroma in moments when you want to feel special wellbeing and escape from negative thoughts. Feel the floral aroma calming you and increasing your sensual energy. Jasmine essential oil is among the most expensive oils in the world. In order to make it available in our boutiques, we offer a mixture of this valuable oil with sweet almond base oil, where the jasmine essential oil concentration is 1%. Jasmine oil fits the best with rose, ylang-ylang and neroli essential oils. 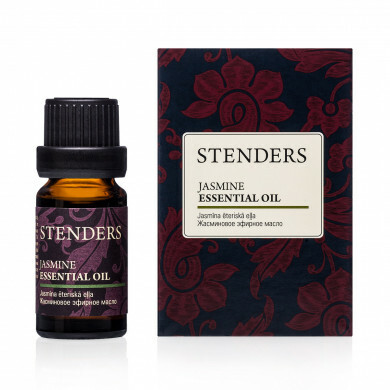 To scent the room: pour some water on a STENDERS aroma lamp and add a few drops of jasmine essential oil. Place a lit tea candle on the base of the aroma lamp. Snuff out the candle after use. 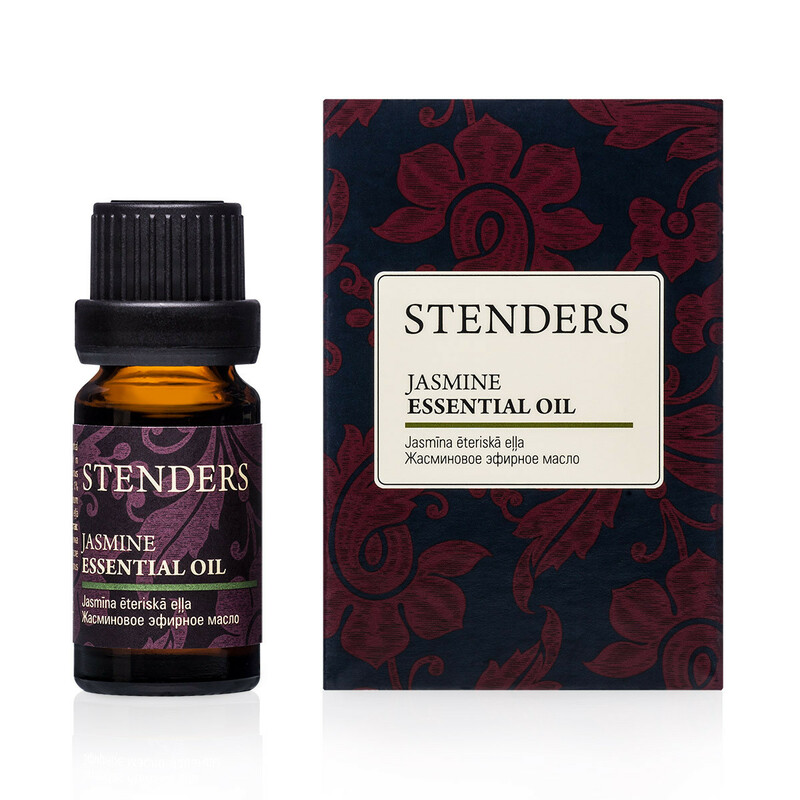 For massage: add 2-3 drops of jasmine essential oil to 2-3 tablespoons of body oil or melted STENDERS massage butter, unscented (keeping it below 40C). We recommend cooling the butter before applying it to your skin. 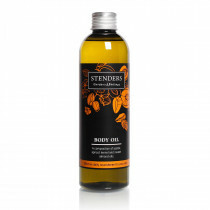 Moreover, you can mix all of the oil with 250ml STENDERS body oil to indulge your extra dry skin, whenever necessary. For baths and hand or foot baths: dissolve 8-10 drops of jasmine essential oil in honey or milk and add to the bath water. Add 8-10 drops of oil to 150-300g of bath salts or 200-300g of bath milk. Jasmine oil is intended for external use only and should be kept away from children. Be extra careful when using this oil if you are pregnant or have very sensitive skin.